Move It With M&S LLC is an independent, family owned and operated, moving company located in Saint Joseph, Missouri. The owners, Theresa Meyer and Louis Simental, developed the company in 2007 after a stressful move back to Saint Joseph during a snowstorm. Unable to find help during this time, Theresa and Louis recognized an urgent need in this industry and set to work! With so many moving companies out there, it’s important to know that your company of choice is legally authorized to be providing your moving services. We are one of the few moving companies in the Saint Joseph area that are fully licensed and insured, both federally and in Missouri. This is a requirement by the Department of Transportation for all professional movers. We are also the only moving company in the Northwest Missouri area authorized to be interstate movers. At Move It With M&S LLC, we understand that each and every move is unique. That is why we exhibit personalized service and communication based on each customer’s needs or wants. With fully-trained and experienced movers, we are dedicated to providing our customers with high quality, stress-free service in residential or commercial moves. This includes packing/unpacking, loading/unloading, furniture assembly, furniture rearranging, and driving assistance. We travel within a 200 mile radius of Saint Joseph and don’t charge for travel time between our location and yours! 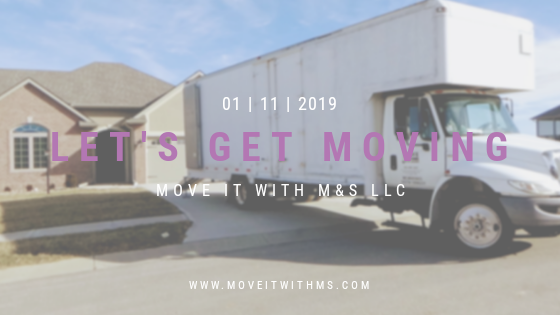 Whatever your moving need, contact us at 816-689-2627 or email us at info@moveitwithms.com.